Photos of the new 2020 Jeep Gladiator, Jeep’s new pickup, have been leaked ahead of its debut at the 2018 LA Auto Show. The Wrangler-based pickup pretty much looks like you would expect. 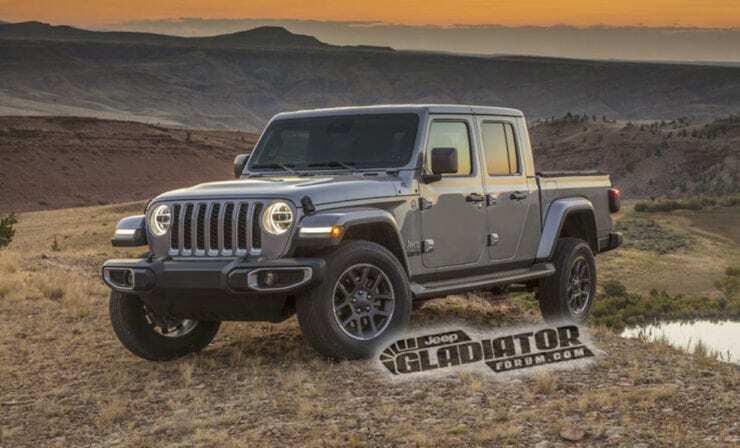 Taking the Wrangler to another level, the 2020 Jeep Gladiator pickup will give consumers the added convenience of a bed. This demand has long been satisfied by AEV’s Jeep Brute conversion, at a pretty high price (conversions start at $41k + donor vehicle). Now, Jeep is looking to get in on this by offering its own pickup as well as jumping into a red hot mid-size pickup market. With a new Chevy Colorado ZR2 Bison and a new Ford Ranger hitting the market in the coming months, the mid-size market hasn’t been this popular since the 1980s and 1990s. It is especially hot for off-road rock crawlers or desert runners. Chevy has been keen to jump into this market by offering its Colorado ZR2 challenging Toyota’s long held lead as the off-road vehicle and pickup of choice. 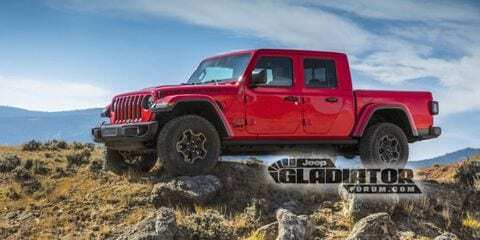 The 2020 Jeep Gladiator takes direct aim at these competitors by leveraging its renowned off-road beast, the Wrangler, as a more capable option. While the off-road crowd has long been a battle ground between the two differing approaches – built rigs vs. bought rigs, the capability of stock pickups is unlike anything the automotive segment has ever seen. It will be fun to watch consumers reaction to the variety of options on the market as well as if consumers will continue to drive the demand for off-road stock pickups. No official announcement on specs, engine choices and pricing. The 2018 LA Auto Show runs November 30 – December 9, 2018 at the Los Angeles Convention Center.